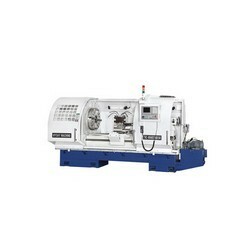 CNC Heavy Duty Precision Lathe is a very popular product line in metal industry. The spindle motor power in the series is transmitted to the spindle through pulley, belt and 4-step gear sets. It could perform heavy duty machining with high speed and high rigidity.